Last November Space Studies Institute NASA Innovative Advanced Concepts (NIAC) Team Principal Investigator Dr. Heidi Fearn and Team Consultant Dr. James Woodward invited a group of friends and colleagues to discuss updates in engineering and testing of Propellant-less Propulsion, The “Woodward Effect,” The Machian Principle and other advanced physics and propulsion engineering topics. 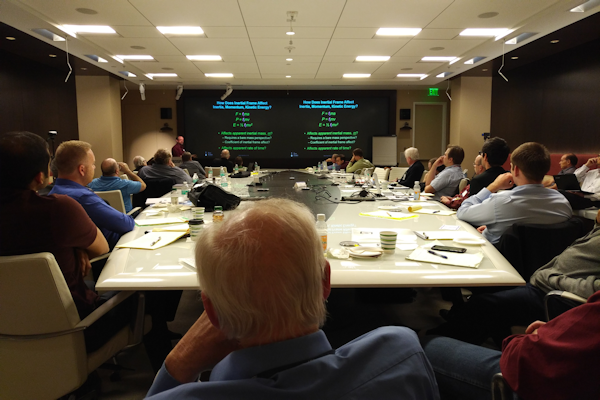 Greg Meholic of The Aerospace Corporation, a presenter at the 2016 Estes Park Breakthrough Propulsion Workshop, offered an excellent space for this gathering in the Sally Ride Board Room at The Aerospace Corporation’s El Segundo, California headquarters. 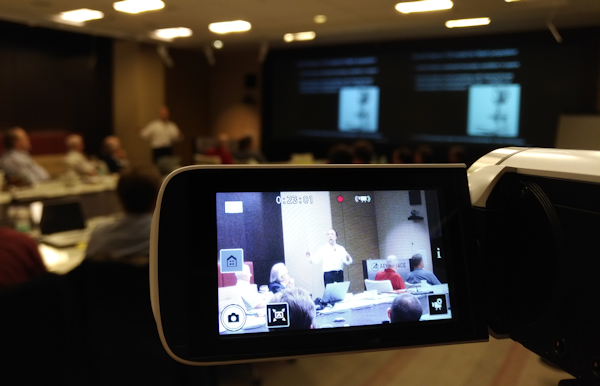 The Space Studies Institute recorded the three day event and we are proud to begin releasing the full-length videos of the presentations starting this week on the SSI YouTube Channel ( https://www.youtube.com/c/SSISpaceStudiesInstitute ). In addition, most presenters provided their slides and we will be posting these on special new pages on the SSI.ORG website. Many sessions included stimulating, insightful and even entertaining Q&A and Dr. Woodward stepped in occasionally to provide clarification of technical and historical Einsteinian physics details. Even if your day job has nothing to do with Physics or Starships, we hope that you will give each of the video presentations a good college try. Seeing the faces of the scientists and engineers as they present their passions and observing the discussions makes the content come alive. The Space Studies Institute is very proud of the SSI NIAC Team, Dr. Heidi Fearn, Dr. José Rodal, Mr. Marshall Eubanks, Mr. Paul March, Mr. Gary C Hudson and Professor James F. Woodward, and we thank them for putting together this important gathering. 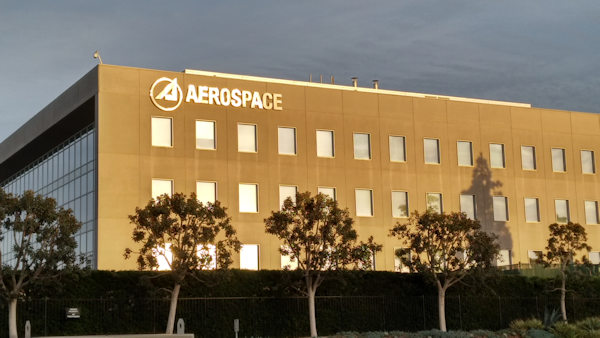 We also extend our deepest thanks to the staff at The Aerospace Corporation, especially Greg Meholic and Robert Chismar, for making everyone feel so welcome. Their hard work paid off and made the three days of sessions a wonderful experience that SSI is excited to begin sharing with the world. For daily updates on the video and slide releases you can Like and Follow the SSI Announcements page on Facebook at https://www.facebook.com/SpaceStudiesInstitute/. If you do not have a Facebook account you can still view that page at any time, Facebook will pop up a banner prompting you to log in but this is easily scrolled past, allowing a good view of the content beneath. For more information on SSI’s Exotic Propulsion Initiative including links to the videos of the entire 2016 SSI Estes Park Breakthrough Propulsion Workshop, click here. For a free 337 page eBook of the Proceedings from the 2016 SSI Breakthrough Workshop, click here. 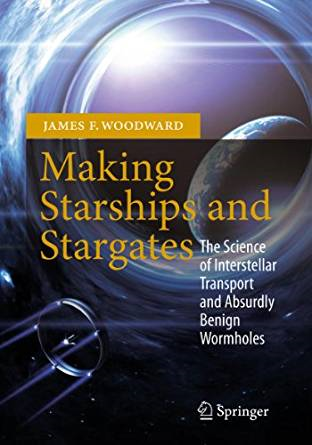 For an excellent background book please pick up a copy of SSI SA Professor James Woodward’s “Making Starships and Stargates: The Science of Interstellar Transport and Absurdly Benign Wormholes” This book is technical and very worth the effort. Note that the Amazon link above uses the “SMILE.amazon.com” url. Signing into Amazon with this small change can add up to a big difference. If you set up the Space Studies Institute as your favorite non-profit organization then a small portion of most any purchase you ever make on Amazon.com will be sent to support the work of the Institute. This doesn’t add anything to the prices that you pay, it is taken out of Amazon’s profit and all you have to do for it to work is to remember to connect to Amazon.com with the “SMILE.” at the beginning of their website address. Beginning Wednesday January 31st on the SSI YouTube Channel.